Red Oak Stand with no rise stained in gun stock. - Hammered Horse Products, L.L.C. 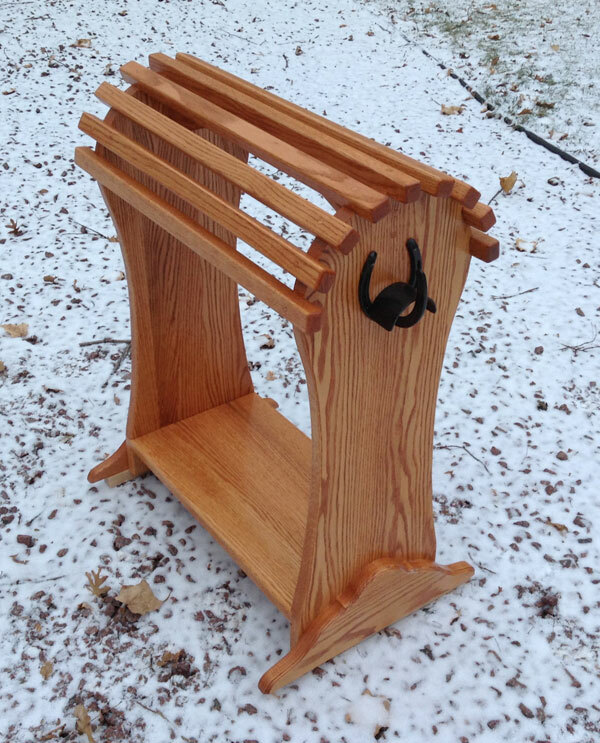 Red Oak Stand with no rise stained in gun stock.